Brian T Blatt, DO, FACC, FHRS, CCDS, has recently joined the Harmony Heart Group. Dr. Blatt completed his three-year cardiology fellowship at the Deborah Heart and Lung Center in Browns Mills, NJ. He then completed a follow-up two-year adult cardiac electrophysiology fellowship at Baystate Medical Center in Springfield, Massachusetts under the direction of James Cook, MD. Dr. Blatt participated in numerous major medical studies which have had an impact on the practice of medicine today, including the DAVID trial. In addition, he has received dedicated training in device implantation, including loop recorders, pacemakers, defibrillators and resynchronization devices. Dr. Blatt has also received specialized training in cardiac electrophysiology and cardiac catheter ablation. As a cardiac electrophysiologist, he has performed ablative techniques for atrial tachycardia, AVNRT, WPW, atrial flutter, atrial fibrillation and idiopathic ventricular tachycardia. He has also had advanced training in syncope, including tilt table testing. 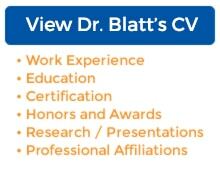 Dr. Blatt is board certified in internal medicine, cardiology and cardiac electrophysiology. He is also a board certified cardiac device specialist by the Heart Rhythm Society and is a Fellow of the Heart Rhythm Society and is a fellow of the American College of Cardiology. 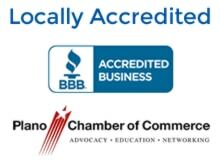 He has professional affiliations with the American College of Cardiology, American Osteopathic Association and the Texas Osteopathic Medical Association. 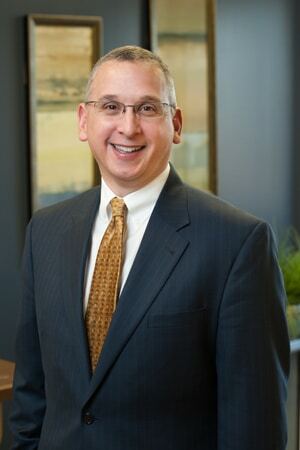 Previously, he spent four years in private practice in Bangor, Maine. Dr. Blatt and his family live in McKinney, Texas. He enjoys cycling and hiking.